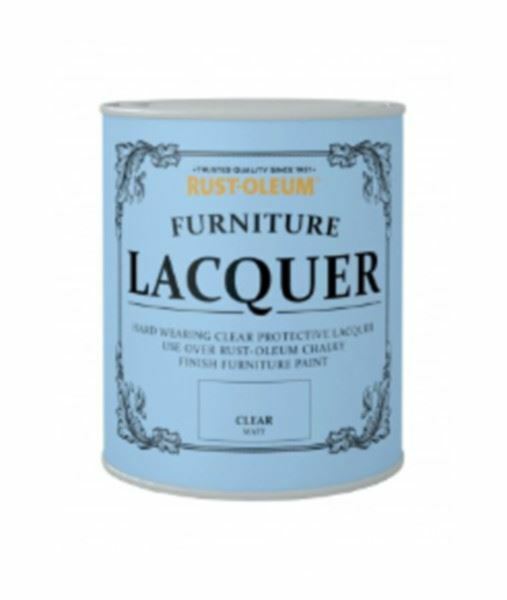 Clear Rust-Oleum Furniture Lacquer is a hard-wearing protective lacquer for use over Rust-Oleum Chalky Finish Furniture Paint. This highly durable finish protects, enhances and seals paint work, protecting it from knocks and scratches. Can be used as an alternative protective finish to Rust-Oleum Furniture Finishing Wax. 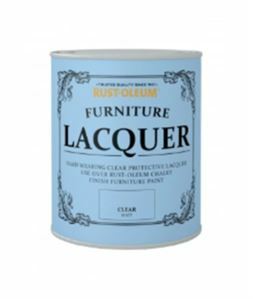 Rust-Oleum Furniture Lacquer is “Toy Safe”, subject to Toy Standard Testing: BS EN 71-3: 2013 + A1:2014, Migration of Certain Elements. Protects and enhances the paint finish. Use with Rust-Oleum Chalky Finish Furniture Paint.